By entering your SilverFast serial number and e-mail address below you will directly be led to the free download of your SilverFast update. This is only provided that your serial number is already registered on our website or SilverFast was purchased as a download from our site. In order to get the free update you must register your SilverFast serial number here. After having completed the registration form you will receive an e-mail for the completion of the registration. 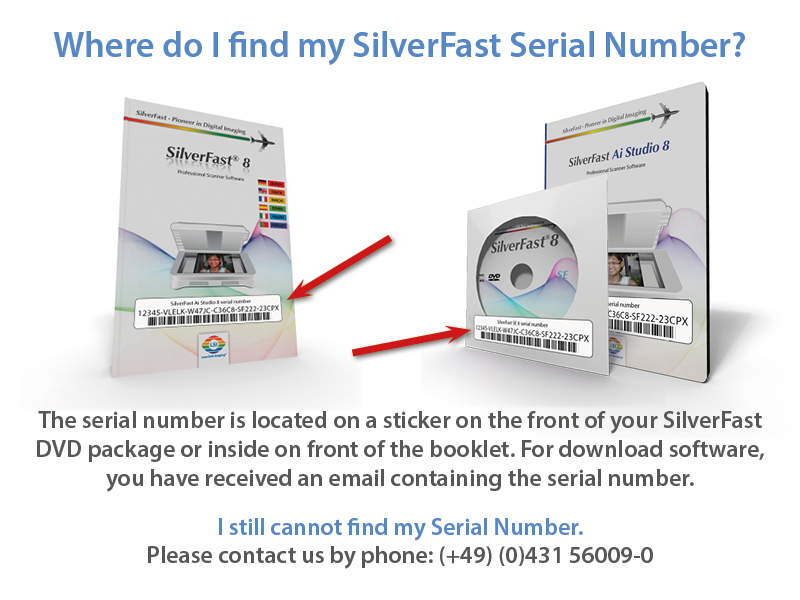 Numero di serie SilverFast: Where do I find my serial number?